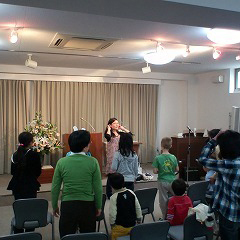 During the second service, children in elementary school and kindergarten join us for the first part of the service. 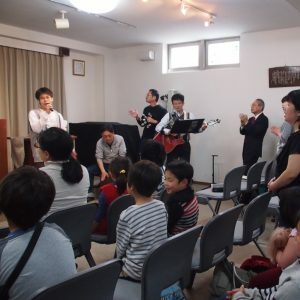 Just before the sermon begins, they will go to the second floor for Sunday School. In the morning, students in the junior high school, or high school spend the time reading Bible, playing the games. After that, they joing the Sunday Service on 11:15a.m.